You must receive certain state benefits, tax credits or other allowances..
You must have at least one broken storage heater installed in your home. More information about the qualifying criteria for Storage Heater Grants for families can be found HERE. ECO Grants for other forms of heating, and to install Cavity Wall Insulation or Loft Insulation are available from the Affordable Warmth Scheme. 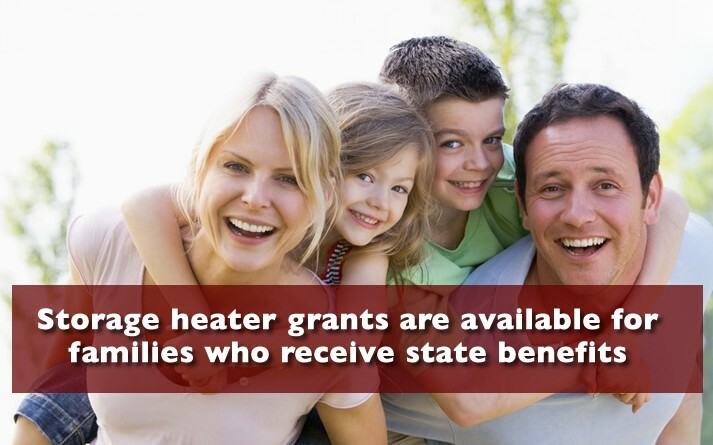 Storage Heater Grants for Families are Available Now. Once you have completed our online form, a member of our friendly team will telephone you to confirm the information you have provided. 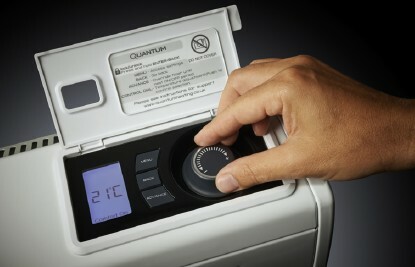 We will explain how the storage heater grants for families scheme works and answer any questions you may have about it. We will then arrange a free survey of your existing heating system. You may need to have your current state benefit award letters available for the surveyor to see. Once the installer has completed the paperwork for your application they will send it to the ECO Funding organisation which will check that you qualify. When your Storage Heater Grant has been approved they will contact you to arrange the installation by qualified electricians. Then you can relax in a warm home knowing that your new storage heaters will reduce your future heating bills. The amount of storage heater grants for families is based on the reduction in carbon emissions achieved by upgrading your heating system. The more you cut your carbon footprint, the higher your storage heater grant will be. For some families, the storage heater grants for families scheme will cover the full cost of installing new storage heaters but for others there may be a contribution required. This cannot be calculated until after a free survey has been carried out but if, once you know the amount of any contribution you decide not to proceed, there will be no charge. However, modern high heat retention storage heaters are up to 30% more energy efficient than older ones, so even if you do have to contribute to the cost, you will make savings on your heating bills.